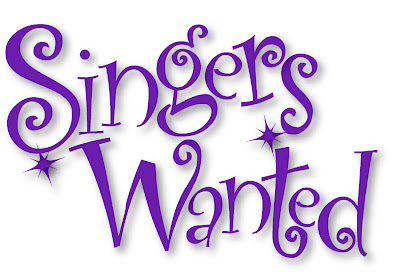 We're a group of fun, fantastic women who love to harmonize, and we'd love for you to join us! Whether you're an experienced barbershopper, choral singer, or new to singing altogether, there's a place for you with Peace Arch Chorus. Already know if you're a tenor, lead, baritone or bass? Great! Join us on the risers to try out some of the music we sing! Not sure what part you sing? Not a problem! Our director, Emma Honrud, will perform a quick (and painless!) vocal test to see what range best fits you - and then you can test out the music on the risers with us! Typically, you have one month before you audition to become a member. You can spend this time singing with us, getting to know us, and practicing your audition piece. The audition piece is sung with four current members - one the same part as you to help you if needed. And don't worry, you can have a trial run if you're nervous. Come sing with the ladies of Peace Arch Chorus - find new friends, a love of music, and a dedication to achieving barbershop harmony excellence! We rehearse Wednesday Nights at the Newton Cultural Centre, 13530 72 Ave, Surrey, BC V3W 2P1, 7:00 - 10:00. You are more than welcome to drop by! If you’d like to connect with us prior, you can send an email to our membership coordinator Jude Goodwin ([email protected]) and she’ll be waiting at the door for you. Over the summer we have performances and bbqs which can interrupt our typical rehearsal schedule. Please check our events page for a list of open rehearsals and "dark nights"
During May, we will be hosting an Open house night for potential new members! This is the perfect time for you to join, or visit us to see what we're all about. Please check back here for more specifics if you’re interested in visiting us during those dates.